Behind the wonderful name Dødens Garderobe (Wardrobe of Death) you find a trio with the members Jeppe Zeeberg, piano – Nicolai Kaas Claesson, bass and Rune Lohse, drums. On their debut album the late saxophone player, John Tchicai, plays an important guest role on several tunes. Tchicai educated the trio while its musicians went to the Rhythmic Music Conservatory. The collaboration continued afterwards and Tchicai and the trio toured together in 2011. Four numbers from that tour are on the album. They are characteristic by being composed melodies. You almost find Monk-like parables on Insane in Vain. Pretty fast Tchicai finds his cry while the trio plays somewhat coherent along. Other places on the album cacophonous and unruly scenes of madness arise. You find exaggerated and intense feelings in the last number Large. Piano player Jeppe Zeeberg has a special grip on his instrument. His abstract and free, associating play intervene and collide with Lohse and Claesson on drum and bass. 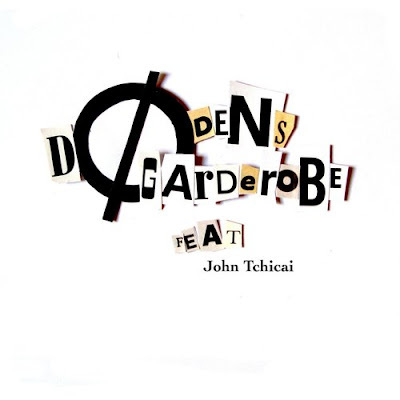 Dødens Garderobe is a new and exciting name on the Danish scene of free jazz.